This is a square Washington Water Power porcelain sign. This particular Washington Water Power sign is yellow and white with black text. 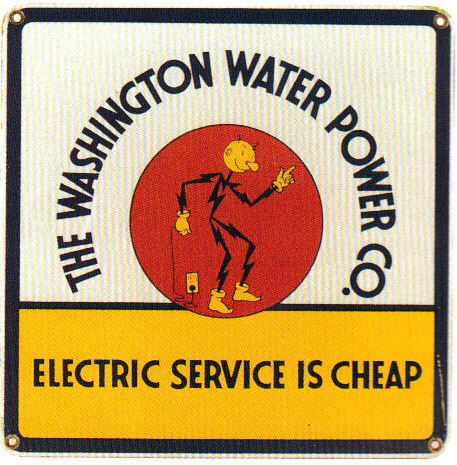 It reads, “The Washington Water Power Co., Electric Service Is Cheap” and features a black and yellow lightning bolt man plugged into a wall outlet against a red background in the center of the sign.